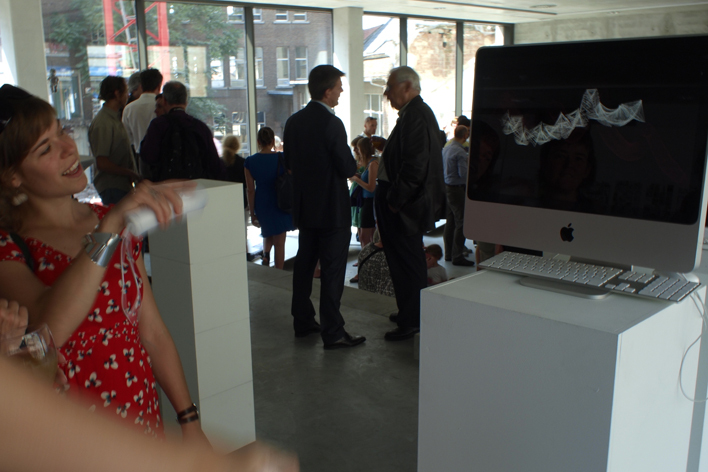 Watch Trigon Star wii controller transform, from sara declercq on Vimeo. During a Processing workshop I created a wifi-controlled Trigon star for an interactive installation. 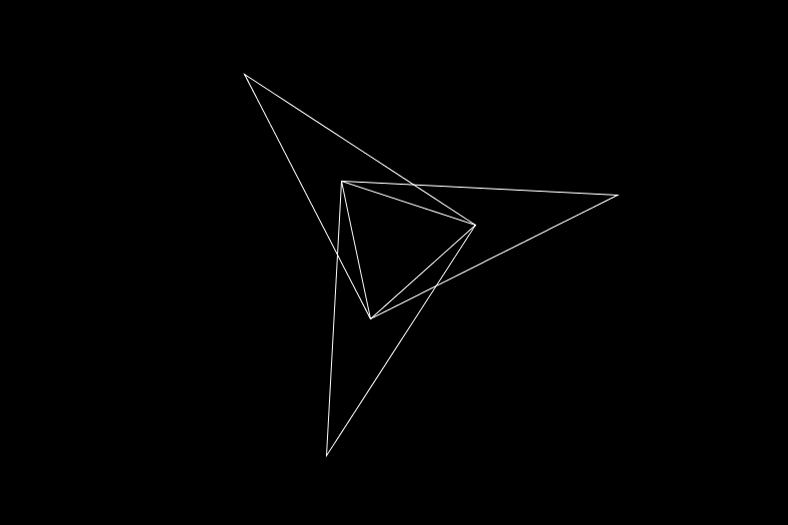 This shape is part of my trigon star project. The shape of the star is adjustable by turning and holding the wii-controller. 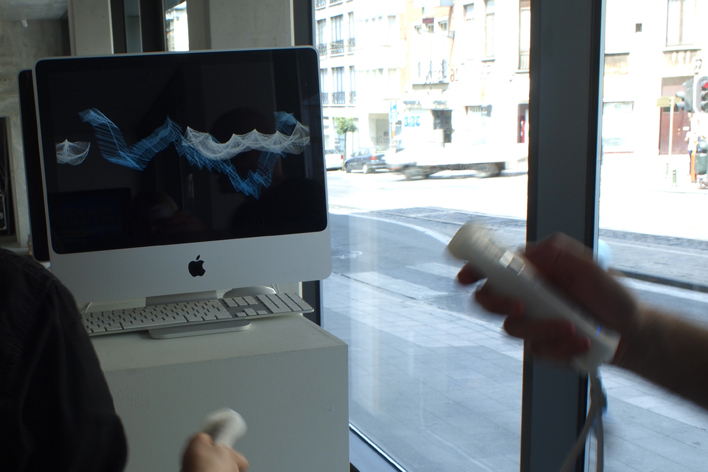 By using the buttons you could draw with the figure and change it's colour as well. In this video you can see on my computer how I change the shape by using the arrow keys (instead of wii- controller) on my keyboard.